Russian gas giant Novatek and SACE SIMEST, the Italian export credit company part of CDP Group, have finalized an agreement on strategic cooperation in the liquefied natural gas (LNG) projects, including Arctic LNG 2. "PAO Novatek and SACE signed a Memorandum on Strategic Cooperation in relation to the Company's current and future LNG projects. The parties agreed to develop long-term cooperation on the Arctic LNG 2 project and potential new LNG projects involving Italian suppliers and engineering companies," said a statement from Novatek. “We successfully cooperated with SACE in the financing of our Yamal LNG project” noted Novatek’s Chairman of the Management Board Leonid Mikhelson. “Today’s signing of our Memorandum with SACE creates new opportunities for mutually beneficial cooperation with Italian businesses on our future LNG projects. 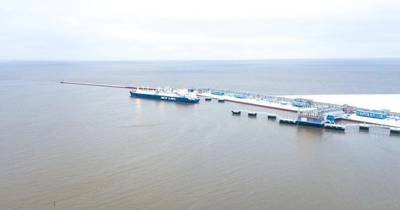 We welcome the interest of international export credit agencies to participate in the financing of our Arctic LNG projects,” Leonid added. Alessandro Decio, CEO of SACE, stated: “We are very keen to strengthen our partnership with Novatek, one of the key players in natural gas sector worldwide. The agreement will disclose huge opportunities for Italian companies operating in Oil & Gas, a key sector for our exports where Italian technology and know- how is well recognized globally. I hope this will be a step towards a win-win and long-term relationship with Novatek, especially looking forward to the Arctic LNG 2 project. It will also strengthen our commitment to the Russian market, traditionally strategic both for us and Italian companies”. SACE SIMEST and Novatek have already cooperated successfully in previous years: in 2016, SACE guaranteed a EUR 400 million loan to finance the construction of the Yamal LNG liquefaction plant in Russia, owned by Novatek, China's CNODC group, Total, and the Silk Road Fund. As of 1 December 2018, the Utrenneye field’s reserves under the Russian reserves classification totaled 1,978 billion cubic meters of natural gas and 105 million tons of liquids. OOO Arctic LNG 2 owns an LNG export license.